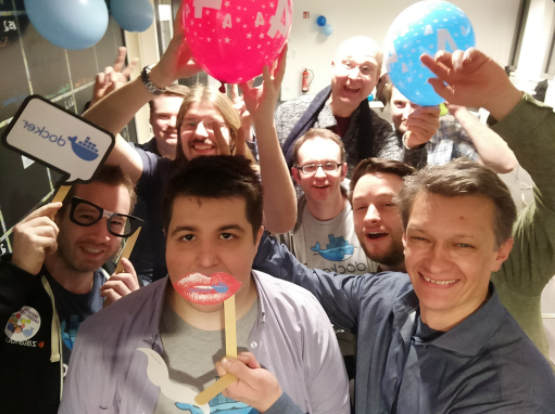 We love to use Docker in our daily business, that’s also why we organize a week after the Docker Birthday the DevOps Gathering (March 23 - 25, 2017) in Bochum, a conference for Docker container, Kubernetes, DevOps and more! But that was NO excuse not to celebrate the 4th Docker Birthday! 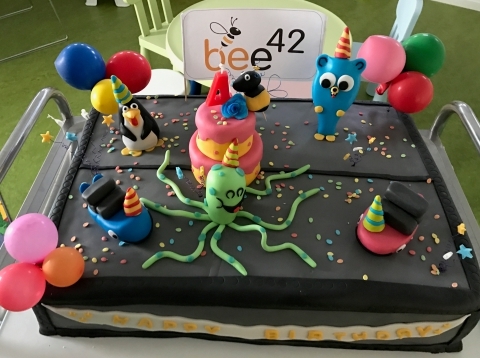 …Karen Bajza for spreading the Docker love and the 4th birthday vibes! 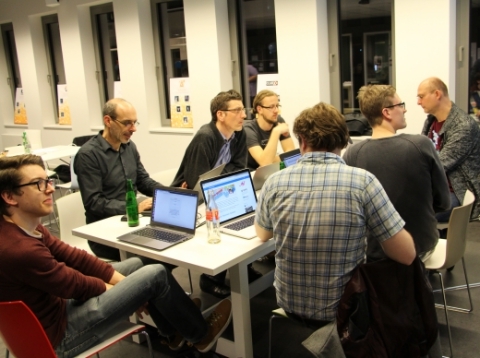 …Zalando for sponsoring this Docker Birthday Party in Dortmund and making this event possible! 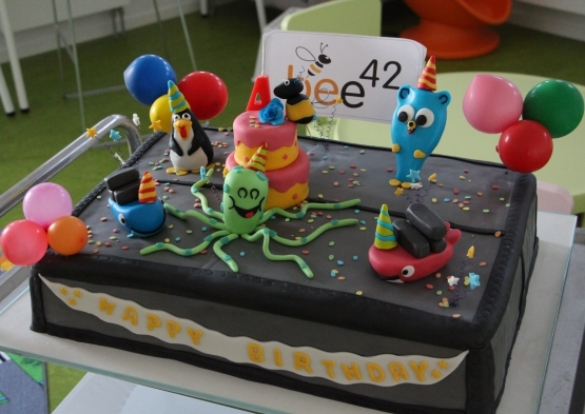 …Setlog also for sponsoring this birthday meetup! 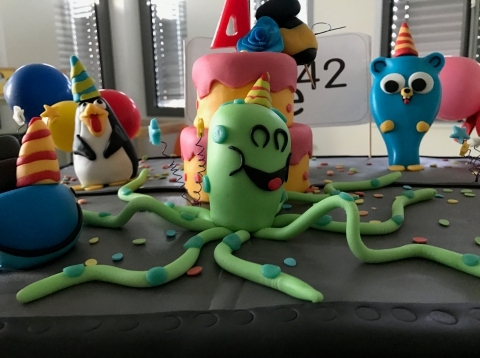 …our gorgeous baker of the bakery Mohr in Dortmund - thank you for the great cake and the details! 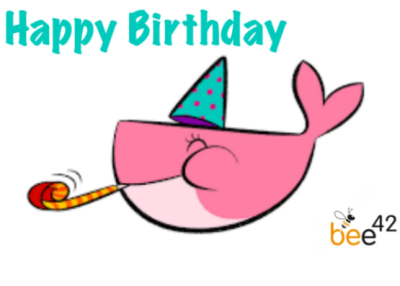 …over 154 Docker Birthday #4 celebrations were announced for this year! 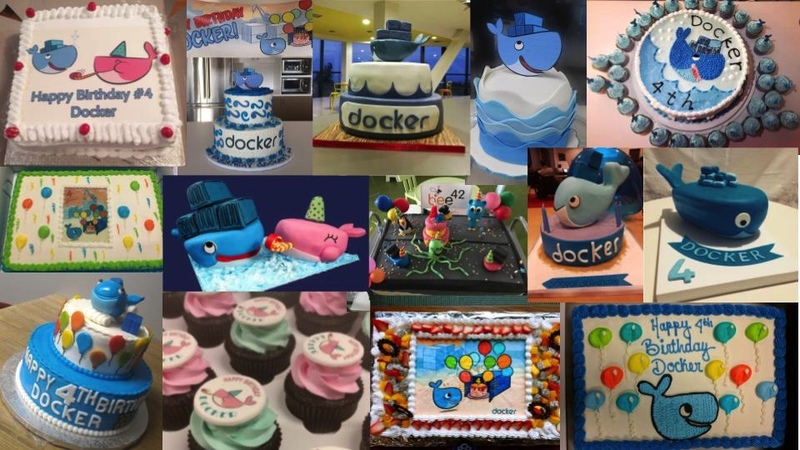 …over 650 tweets about this year Docker Birthday celebration! 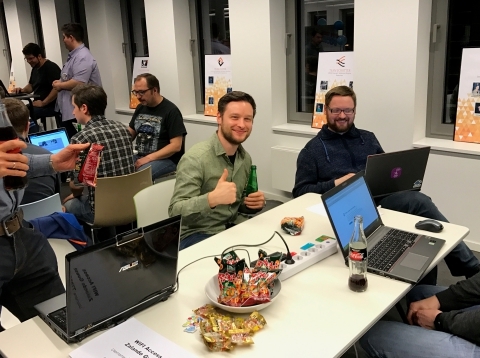 Kevin & Ali from adesso won tickets (2-Day-Passes) for the DevOps Gathering! 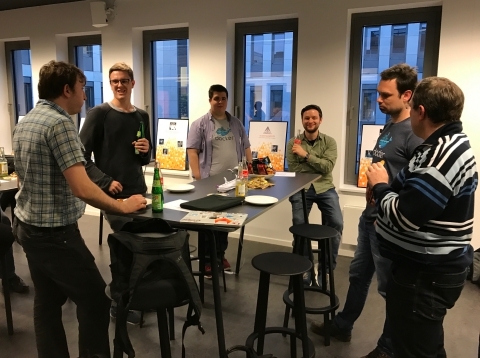 Our Docker Birthday #4 was celebrated at Zalando on the 16th March 2017. 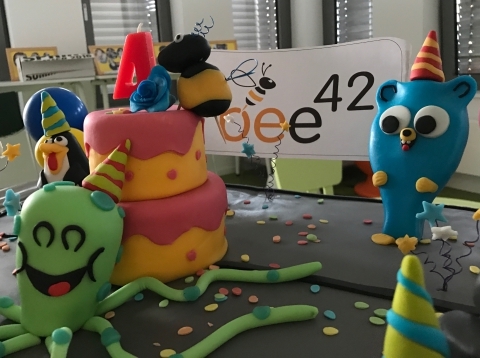 We brought both Community Groups from Bochum and Dortmund together to celebrate this event. 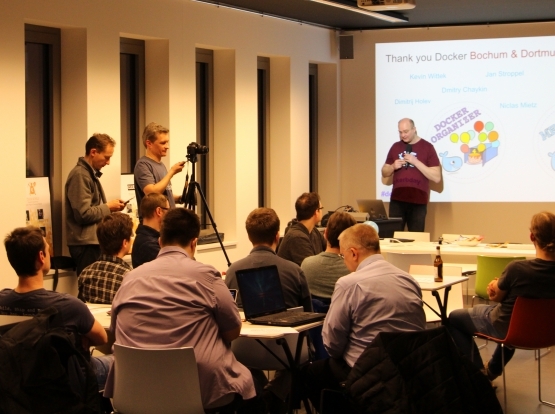 To celebrate together we warmly welcomed newcomers and the already known Docker friends! 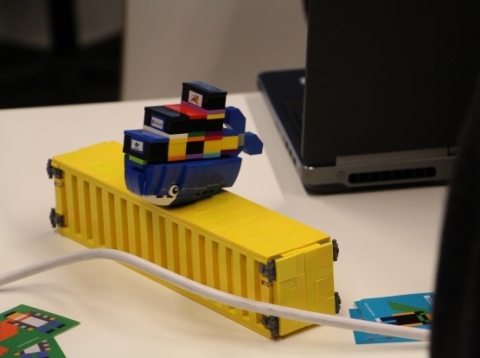 We provided free Docker labs and courses to learn about Docker in a fun and inviting way. We had hands-on with self-paced tutorials for every experience level from absolute beginners to professionals (with focus on beginners to intermediate). We had a little schedule to finish all things we want to do. 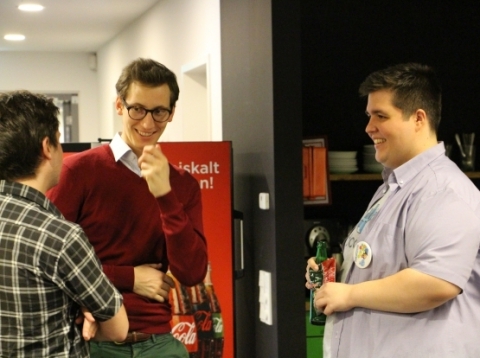 Our Meetup started with Pizza and Drinks to get strong enough for all problems that we wanted to resolve. 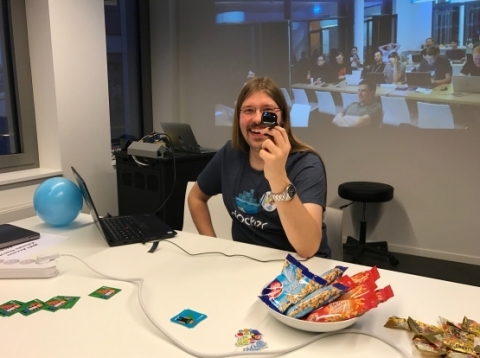 After this Peter Rossbach, our Docker expert, held an short introduction about Docker and the Docker Birthday courses. 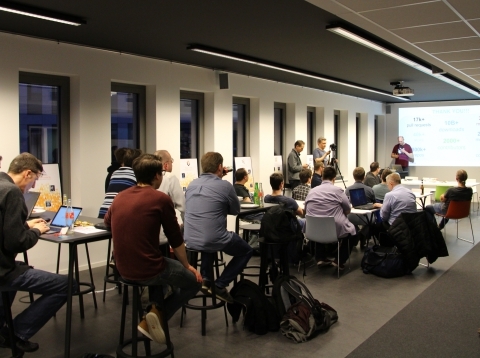 With ending of the introduction all participants built small groups to handle the courses in a timeframe of two hours. 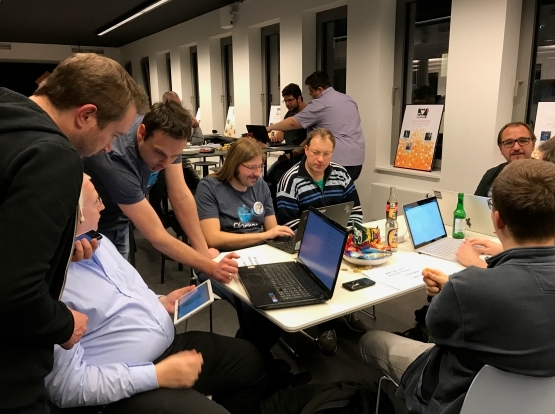 In some groups there were dedicated Mentors for the courses, because Mentors likes as well to learn new stuff and take challenges :) . 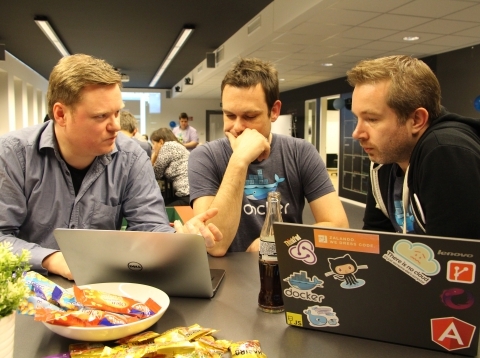 And the other groups could get help from Mentors on-demand or Mentors ask them if they can help on the problems. 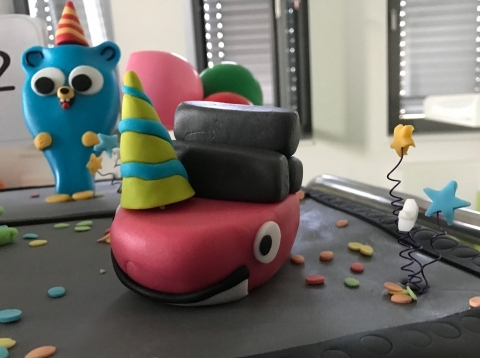 After our timeframe ended, we missed some important step: The Docker Birthday Cake - The most important part of the evening! 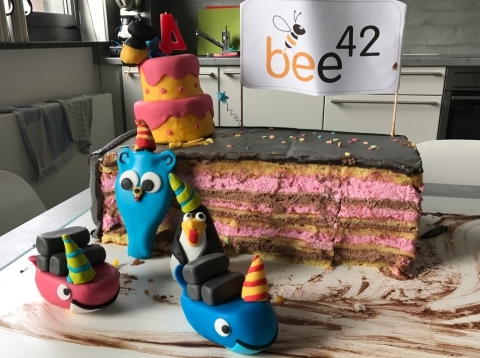 It looked so small but trust us - the cake was 20 centimeters high, 20 kg heavy and it was filled with raspberry (pi, hihi) creme and chocolate! !